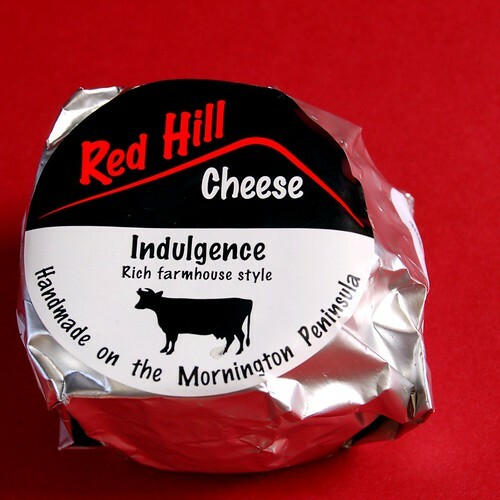 Inspired by Farmhouse cheese-making in Europe, Red Hill Cheese was established in 2000 at Red Hill in the scenic Mornington Peninsula, here in my home state of Victoria. 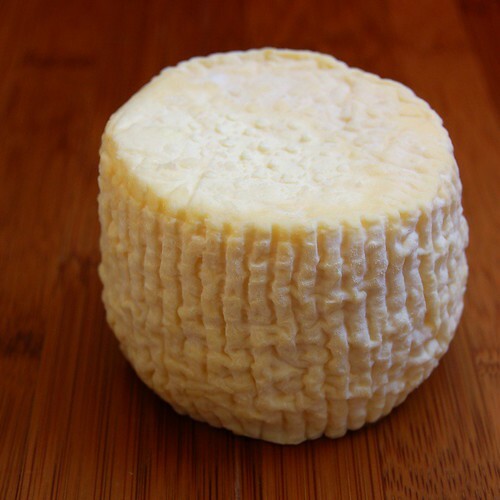 Using organic cow milk and free-range goat milk from single herds they produce a range of seasonal cheese. It's worth noting that a vegetarian rennet is used and that they are free of artificial stabilisers and preservatives. 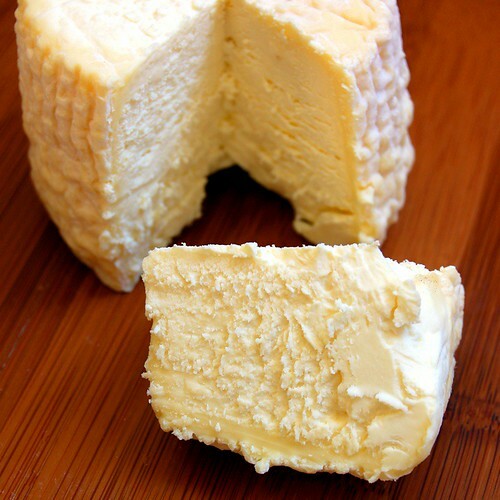 Indulgence is a curd style, cows' milk cheese - and sold in two forms, fresh and aged. When young it's snow white in colour but as it matures it darkens. It's skin moves from a soft wrinkle to having a more waxy appearance. 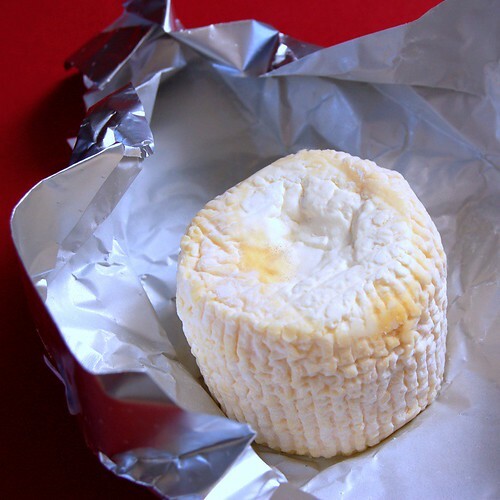 Indulgence is described as a "sweet-lactic, creamy, fine-textured, wrinkled, traditional soft cheese." This particular cheese is the aged version. 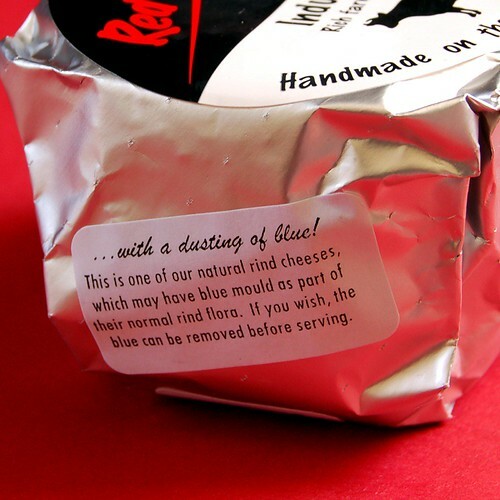 There's a note on the side of the cheese alerting us to the fact that there may be some blue mould on the cheese - it's just due to the cheese-making process - natural floras are allowed to develop in the cellars. You can see some traces of how white it is when first made - this is about 2 weeks from being fully matured. I quite like it's compact barrel shape - there's some character to it. Opened, it gives a good idea of how it's matured - the smooth, creamy line near the rind indicates a fully matured state - the maturation moves from the outside towards the centre. There's quite a bit of flavour accompanying a sweet, mouth filling creaminess. There's also a definite saltiness to it's taste but that gives it a clean flavour. All up, an interesting cheese with a lot of character and a unique taste.